As Canada’s largest exposition and conference on the design, construction, and renovation of all types of buildings, Construct Canada will be held at the Metro Toronto Convention Centre, South Building. The event will be collocated with PM Expo, World of Concrete Pavilion and HomeBuilder & Renovator Expo. To learn more about how we can help you prepare for the show, call (416) 292-2966. 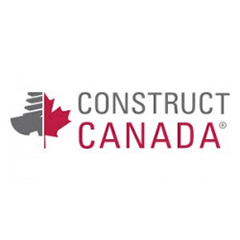 Visit the Construct Canada website here. This entry was posted in 2018 Shows, Show Resources, Trade Shows and tagged 2018, back wall, banner stand, Banners, Buildings Show, Buying show, Canada, Conference, Construct Canada, Custom exhibit, Design, Displays, Exhibits, expo, fabric displays, Fabric Exhibits, Marketing, Show Services, trade show display, Trade Show Exhibits, Trade Shows. Bookmark the permalink.